QUEZON CITY – “He is coming with all the trappings of a wily and devouring monster bent on tearing down his prey and putting him in control of government and the Filipino people!” These are the words of ANAD Rep. Jun Alcover describing the reported surreptitious return of Maoist terrorist demi-god Jose Ma. Sison, to the country. Joma is highly looked upon by Teddy Casiño and company in the Maoist pseudo partylist organizations; Renato Reyes, Bagong Alyansya Makabayan Secretary General; and Satur Ocampo, widely known as the head of the Maoist terrorist New People’s Army, among others. The same source also told Rep. Alcover that upon Sison’s return, several instruments, e.g. Memo of Understanding and others, between the PNoy government and the Maoist terrorist CPP will be signed. “Foremost among these, is an instrument that would manifest both parties’ intent to draft an agreement on the sharing of power of government. In other words, a coalition government with the Maoist terrorists is in the works,” Rep. Alcover stressed. In all likelihood, “There are reasons why Malacañang deliberately hyped the impeach Chief Justice Corona issue and have it tailored cut to sway public attention away from Sison’s return,” Rep. Alcover explained. “Is their truth to this? This is a question that the PNoy administration must answer and explain to the Filipino people. We cannot afford to let go of our country’s aspirations in exchange for one’s solid intention of making a mark in our country’s history at the expense of our freedom and democratic ideals,” said Rep. Alcover. 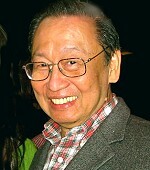 However, the former NPA political and commanding officer in Eastern and Central Visayas turned pro-democracy advocate called on the PNoy administration, particularly the Department of Justice and other law enforcement agencies, to serve the number of warrants of arrest issued by the courts against Joma Sison once he sets his feet in the country. “PNoy must do this instead of giving Joma the so-called red carpet welcome, under the guise of the one-sided peace effort (sic!) that Joma and his peers have consistently shunned and abused. Also, it will show how steadfast is his government in upholding the rule of law and not just knit-picking on who shall and shall not be brought to trial before the courts. Joma must be given his day in court to answer for his crimes against the Filipino people and prove his innocence, if any,” Rep. Alcover said. CATBALOGAN CITY, Samar – Smuggling of whole coconuts may damage the coconut industry in Samar. This is the emerging issue that has gripped PCA these past few days, according to a coconut development officer. While the coconut farmers are a bit offbeat due to the high price of copra, buyers of whole nuts are having a heyday buying and smuggling them which PCA believe is to China. “If this continues, after some ten years, Philippine coconut industry will die a natural death,” said Samar Provincial Coconut Development Manager Emiberto Acasio. “Our market is swarmed with cheap products from China, and Filipino businessmen can not compete with the low price, many had to close shop, now we have to protect the industry so as not to be usurped by China, God forbid,” he added. He observed that in Paranas, a lady is reportedly buying whole nuts which the PCA suspects is smuggling them to China through other clandestine ports where there is no coast guard. “We have waited for the lady to register with us before she can establish her buying station, but until now, she has not shown up at PCA-Samar provincial office,” Acasio said. The law requires that coconut buyers in nuts and lumber should register with the PCA, secure permit and secure transport clearance from the regional office to regulate this activity that could harm the industry in the future. BORONGAN CITY, Eastern Samar – Government should fill up the 93 thousand vacant position otherwise the funds would be reverted to government coffers. This was said by Congressman Ben Evardone who was in town recently to greet his constituents for the Christmas season. Evardone who sits with the House Appropriation Committee said that the funds for these vacant positions, is incorporated in the recently approved P1.3 trillion national budget for 2012. Of the 93 thousand positions, it was learned that 67 thousand had been left unfilled in years which has earned savings for some government agencies and departments. Today, however, the budget which President Benigno Aquino has recently signed into a law, already disallows such a saving-generation strategy of concerned offices which they used to allot for their additional bonuses and incentives. In a separate source, Budget Secretary Butz Abad also said that some P23B awaits to be spent for these unfilled positions and should these remain untouched, it will be retrieved by government for other meaningful expenditures. Among others, 12 thousand nurses are needed by the country, 200 doctors, 1,000 midwives, 13 thousand teachers, 665 staff for Congress, 5 thousand for Supreme Court, 269 for the Civil Service Commission and still more policemen, auditors, lawyers, soldiers and judges. More teachers are needed next year, the source added because of the implementation of the new DepEd Curriculum K+12. Today’s hiring rate for teachers is now better-off as compared to the past, because it is now pegged at P15 thousand a month. Besides, generally, government salary rates are now close to be competitive with the private sectors and corporations, the source added. TACLOBAN CITY – The Department of Science and Technology for this year released some P8.8 million to upgrade the technology application of some 25 SMEs in Eastern Visayas. DOST 8 Director Edgardo Esperancilla said the number of assisted entrepreneurs exceeded the agency’s 20 target set at the start of 2011. “Many of these assisted projects aims address productivity needs of community-based enterprises in order to create more job opportunities,” Director Esperancilla informed the media practitioners during the NUTRICOMNET Media Forum at the Harampang Ha PIA. The assistance is centered on SMEs engaged in furniture making, food processing, farm-based products, and handicrafts making. Forms of assistance included upgrading of facilities, adoption of DOST developed technologies, innovation support, and provision of equipments. Among the assisted SMEs this year are citronella oil processing facility in Biliran, Biliran; coconut wine processor in Palo, Leyte; handicrafts production facility in Kawayan, Biliran; coco-vinegar maker in Salcedo, Eastern Samar; feed mill plant in San Juan, Southern Leyte; calamansi juice concentrate processor in Guiuan, Eastern Samar; cheese sticks producer in Hilongos, Leyte; meat processing center in Guiuan, Eastern Samar; charcoal briquettes processor in Sogod, Southern Leyte; and Copra drying and accelerated vinegar production center in Basey, Samar. Also included in the list are meat shop and processing center in Bontoc, Southern Leyte; vegetable-based breads and squash canton noodles maker in Calbayog City; suman (Balintawak) processing facility in Naval Biliran; nutritious food baker in Bato, Leyte; chocolate-based products maker in Bobon, Northern Samar; sweets and desserts producer in Catbalogan City; upgrading of pastry production facility in Kawayan, Biliran; bakeshop in Calbiga, Samar; veggie enriched bread maker in Capoocan, Leyte; delicacies packaging in Borongan City; marine products processor in Macrohon, Southern Leyte; noodles production in Catbalogan City; food products improvement in Almeria Biliran; and soy sauce processing in Tacloban City. For 2011, the National Government has set aside P300 million to finance the implementation of Small Entrepreneurs Technology Upgrading Program (Setup), a nationwide program designed to upgrade productivity of SMEs through technology application. The program enables firms to address their technical problems through technology transfer and technological interventions to improve productivity through better product quality, human resources development, cost minimization and waste management, and other operation related activities, Director Esperancilla said. Beneficiaries under Setup may be a company or individual firm that is based in the Philippines and wholly owned by Filipinos citizens, small and medium scale business firm that can be classified under the identified priority sectors, and individual firm that is willing to apply technological improvements in their existing operations. TACLOBAN CITY – The Department of Agriculture is allotting some P474 million to ensure the enhancement of agricultural productivity in Northern Samar. Agriculture Secretary Proceso J. Alcala made the commitment during his recent visit in Las Navas, Northern Samar where he also forged an agreement with the Department of Social Welfare and Development to undertake an initiative called “Agrikulturang Pantawid Pamilyang Pilipino Program,” DA-8 RED Antonio Gerundio informed. Of the P474 million, Secretary Alcala said P209 million is earmarked as an additional fund to complete the irrigation component of the Help for Catubig Agricultural Advancement Project (HCAAP). HCAAP is expected to irrigate 4,550 hectares, and benefit more than 1,600 farm families in the towns of Catubig and Las Navas, Northern Samar. Secretary Alcala said the irrigation project will double the province’s irrigated area to more than 9,000 hectares, from the current 4,500 hectares, and subsequently increase its annual palay production pegged at 98,300 metric tons (MT) in 2010. The irrigation project, the DA Secretary noted, could generate an additional harvest of about 40,950 MT, at two crops a year and an average harvest of 4.5 MT per hectare per cropping. In 2010, Northern Samar produced 98,380 MT of palay from 38,183 hectares, of which 88 percent is rainfed. The province contributed 10 percent to the total eastern Visayas palay harvest of 964,145 MT last year. Secretary Alcala also allotted P230 million for the rehabilitation and construction of other irrigation projects, and P35 million for farm-to-market roads in second district of Northern Samar. In the same occasion, Secretary Alcala disclosed the Agency’s plan to put up some very vital infrastructures such us the setting up of a PhilRice Satellite Office and a multi-million state-of-the-art rice processing complex in Catubig Valley that will house modern rice milling and drying facilities. The Agrikulturang Pantawid Pamilyang Pilipino Program is meant to “uplift” Eastern Visayas farmers, fishers and rural folk from poverty. The poverty alleviation project is aimed at enhancing agricultural productivity, and provides sustainable livelihood and short-term jobs to marginal families, particularly those engaged in rice, corn, coconut, and sugar-cane production, and municipal fishing. It seeks to improve the agricultural productivity and income of marginal coconut farm families; construct paddy dikes, irrigation canals and service roads in undeveloped or unutilized farmlands, and at the same time, generate additional employment; and implement livelihood projects to benefit marginal fisher folk families. During the launching at Las Navas, DA and DSWD have awarded several farm equipment, tools and inputs to hundreds of family-beneficiaries. From the DA, they also received three units of hand tractors, 100 pieces of hand tools, and 100 bags of certified rice seeds; and from the DSWD, two units of hand tractors, and livelihood project funds. In addition, the DA through the Bureau of Soils and Water Management (BSWM) will construct a diversion dam in Barangay Guba, Catarman town, and implement an expanded modified rapid composting project in the province, as part of the DA’s organic agriculture program. TACLOBAN CITY – Tabang Sinirangan Bisayas, the then Tabang Samar which was initiated by the Regional People's Network for Hunger and Poverty Alleviation, supported by the National and Regional People's Organizations, church sector and individuals who are sympathetic to the dismal condition of the people particularly in the far-flung municipalities in the region is currently conducting a Medical and Mercy Mission in Gamay, Northern Samar which started on the 16th and end on the 20th of this month. Gamay is a 4th class municipality in the province of Northern Samar. According to the 2007 census, it has a population of 21,537 people in 4,434 households. The main source of income of the people in this area is upland farming, with coconut and palay as main crops. Due to non-stop rains as caused by climate change, some of the areas of Gamay, Northern Samar were flooded which greatly damaged the livelihood of the people that reduced to almost half of their income. The hunger and poverty incidence to this effect is further intensified by the plague of black bugs which destroyed most of their crops. Coupled with this, is the low price of copra and some of their products vis-à-vis to the high cost of commodities such as a sack of rice will now cost 1,600 pesos which previously is only 1,500. To this effect, most of the farmers are in dire state of hunger and poverty wherein they will just eat rice once or twice a day. Militarization also adds up to their already unbearable burden. Initial reports reveal that human rights violations are being committed in the area. The initial report has reached the office that groups of beneficiaries Barangay San Jose in the Municipality of Gamay of the currently being served by Medical and Relief Mission from are being intimidated by the presence of the elements of 34th IB headed by Lt. Samuza and company. Their unnecessary presence in the conduct of the mission is causing fear and apprehensions on the part of the beneficiaries to come to the venue of the mission and avail the services offered by Tabang Sinirangan Bisayas. Consequently, their presence is hindering the attainment of our humble resolve to deliver relief and medical services to the people in the communities of Gamay. This relief mission has undertaken all necessary preparations including a formal protocol from the province and the Local Government Unit and other government agencies for the full coordination of the whole duration of the Medical and Mercy Mission and this cannot just be aborted by the harassments of the military. Given the present state of affairs at the venue of the medical mission, Tabang Sinirangan Bisayas is urgently calling the Commanding Officer of the 34th IB of the Armed Forces of the Philippines to pull out his men who are now in the area where the mercy mission is conducted, whose presence is causing insurmountable fear among the beneficiaries of Tabang Sinirangan Bisayas in Gamay. Let this be a sign of his respect for our our noble cause as prompted by the spirit of the Good Samaritan and even as we take heed to the call of Christ to serve the poor and the oppressed which is the very essence of Christmas. QUEZON CITY – The Alliance for Nationalism and Democracy (ANAD) Partylist scoffed at the unilateral 18-day ceasefire declared by the government as nothing but an illusion! ANAD Rep. Jun Alcover said that history tell us of the Maoist NPAs recklessness and consistently on a rampage against innocent Filipinos, government security forces and facilities, and businessmen during any unilateral ceasefire of the government or jointly declared with the Maoist terrorist NPAs, covering many decades ago. “The 43-years of Maoist terrorism vividly tell us how Maoist terrorist demagoguery has exploited, abused, and insulted all government initiated ceasefire declarations in order to replenish their logistical requirements, expand their areas of operation, and conduct forcible recruitment activities to further advance their inhuman and violent Maoist revolution. In fact, they committed more ceasefire violations compared to those allegedly committed by government during any joint or reciprocal ceasefire,” the ANAD solon explained. “To show proof, as early as a day after PNoy declared the holiday ceasefire from December 16, 2011 to January 2, 2011, 5 army soldiers of the 36th IB, Phil. Army were killed and 2 wounded by the NPAs in Barangay Mabuhay, Tandag City, Surigao del Sur last Friday morning (December 16); while a retired army soldier was shot by bonnet clad assassins in San Fabian, Echague, Isabela, a trademark of the highly treacherous NPA Sparu hit teams. To recall, some 10 soldiers of the 63rd IB, PA and 9-year old Joven Cabe were killed when they were ambushed by Maoist terrorist NPAs in the boundary of Las Navas and Catubig towns, in Northern Samar, last Dec. 14, 2010, barely 48 hours before the Christmas truce between the government and the terrorist begins,” he explained. The former NPA political and commanding officer in Eastern and Central Visayas turned staunch pro-democracy advocate stressed that Maoist communist terrorism cannot and shall never be assuaged by any declaration of ceasefire. “The only language that they understand is that peace shall come after the revolution. Thus, no amount of unilateral ceasefire, to celebrate any and all public occasion, could soften or temper down the Maoist terrorist’s thirst for blood of innocent Filipinos!” Rep. Alcover said. Rep. Alcover explained that the strategy of then President Ramon Magsaysay should serve as the best model for this administration in dealing with the Maoist terrorists. 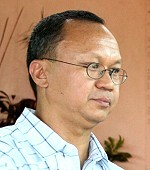 “President Magsaysay’s carrot-and-stick strategy brought down the very same ideologically inspired insurgency where the full force of the law is applied to those who persist in using the use of arms against government and the Filipino people, while widely opening the doors of reconciliation to those serious in going back to the folds of the law and government,” he added. “PNoy’s recent unilateral declaration surely will not do any good for the Filipinos whose thirst for peace had been unquenching and unanswered in the past decades. Any ceasefire shall remain an illusion unless PNoy gets back from deep slumbers to boot out those who had been so much engrossed in manipulating government to serve their selfish ends,” Rep. Alcover pointed out. TACLOBAN CITY – Three companies in the province of Leyte have been awarded recently by the Department of Environment and Natural Resources for their exemplary environmental performance. The three companies were identified as the Energy Development Corporation based in Kananga, Leyte; Green Core Geothermal Inc. in Ormoc City and the Philippine Associated Smelting and Refining Corporation in Isabel, Leyte. The three companies were among the 12 other companies that were cited and were presented the Seal of Approval under the agency’s Philippine Environment Partnership Program. These new 15 companies bring to 39 the number of awarded firms since 2009, DENR Secretary Ramon Paje disclosed during the awarding ceremonies at the DENR Social Hall. PEPP supports the aspiration of industries towards self-regulation. It aims to promote corporate social responsibility among the local industries, particularly those that consider environmental protection an important part of sound governance. The DENR Official Seal of Approval for Track 1 awardees is valid for one year. Industries that fall under this category should have had no cases filed against them by the Pollution Adjudication Board of the DENR for three years prior to their date of application; have fully complied with all applicable environmental laws, rules, and regulations; and have a proven record of superior environmental performance. The PEPP Track 1 recipients will benefit from relaxed requirements in the frequency of submission of reports, longer validity of permits, and simplified requirements for securing an Environmental Compliance Certificate for expansion projects. The PEPP covers all industrial and commercial establishments, both public and private, including agri-industrial facilities, manufacturing and commercial enterprises, and other facility services. The companies bestowed with the award, under “Track 1” category, for “going beyond simple compliance, and being driven by competitiveness, image, and supply chain requirements to improve their performance” include Aboitiz Power - Hedcor, Inc. (Beckel, Benguet); PSI Technologies, Inc. (Taguig); Holcim Philippines - Bacnotan Plan (La Union); STMicroelectronic, Inc. (Calamba City, Laguna); KEPCO Ilijan Corporation Philippines (Ilijan, Batangas); Aboitiz Power Renewables, Inc. - Mak-Ban Geothermal Plant (Bay, Laguna); Aboitiz Power Renewables, Inc. - Tiwi Geothermal Plant (Tiwi, Albay); Energy Development Corporation (Kanangga, Leyte); Green Core Geothermal, Inc. (Ormoc, Leyte); Philippine Associated Smelting and Refining Corporation (Isabel, Leyte); Nestle Philippines, Inc. - CDO Factory (Tablon, Cagayan de Oro City); Holcim Philippines - Davao Plant (Ilang, Davao City); Alliance Select Foods International (Tambler, General Santos City); Southern Philippines Power (Alabel, Saranggani Province); and Coca-Cola Bottlers Philippines, Inc. - General Santos Plant (Bula, General Santos City). In the same occasion, Absolut Distillers, Inc. was awarded a Special Citation for Environmental Excellence, for winning the Green Apple Award in London, England, last November 14. The citation award was received by business tycoon Dr. Lucio Tan. Absolut Distillers was also one of the PEPP Track 1 awardees in 2009. MAASIN CITY – The Department of Labor and Employment (DOLE) -Southern Leyte Filed Office (SLFO) has scheduled this month for the release of livelihood formation projects to enable the Barangay Combado fisherfolks to start quickly, a livelihood undertaking and become self-employed. Some 48 fisherfolks coming from Barangay Combado, Maasin City are the recepients of the livelihood formation project for the small fisherfolks, DOLE–SLFO Staff Mario Tictic disclosed to PIA Southern Leyte. Since 10 of them have their own bancas, only the 38 remaining fisherfolks were provided with new paddled-bancas together with other fishing equipment like hook and line, fishing nets and under the P600,000 - worth mentioned project grant, Tictic revealed. Tictic also said, however, should the beneficiary abandons the fishing equipment and no longer uses them, then the government employment agency will be forced to get back the fishing materials distributed under the project. He added that the project cost is jointly funded and supported by the Maasin City government at 20 percent of the total project cost will be shouldered by the local government unit. The city government counterpart comes in the form of trainings, provision of venues, technical assistance, among others. Each fisherfolk receives an average of more or less P12,000 – worth of fishing equipment under the project, Tictic added. Meanwhile, another package of livelihood formation project will simultaneously be released to less than 100 workers in the informal economy based in the city with varied livelihood packages as needed in their easy to learn livelihood undertakings, Tictic said.